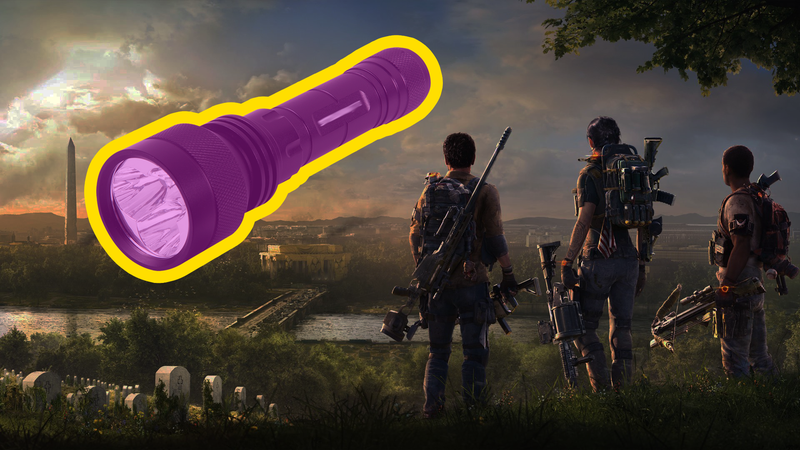 Over on The Division 2 subreddit, you can find multiple posts and comments from players about how the game is lacking a flashlight. Sure, players have powerful guns, incredible tech and even full access to the White House, but many players would be happier if they could carry a small flashlight or activate a headlamp. “Can someone shed some light? It’s completely terrifying in the underground, and I’m scared of the dark,” wrote one player on in a post simply called “Can I Get A Flashlight?” Other players in this post agreed that The Division 2, especially in sewers and buildings, can get really dark. For many, turning up the brightness doesn’t work or makes the game look too foggy or strange. Another player shared a conversation they overheard at a friendly settlement between two AI guards. It was during the night and the player walked by a small group of friendly soldiers when he heard one mention putting away their flashlight. “I just looked at her. Feeling sad knowing that they have flashlights and I do not.” They then ended their post telling asking Massive, developers of the game, to add some flashlights, please. The lack of flashlights isn’t seen by the community as a major problem or something that is ruining the game. Like the floating square that blocked some stairs, this is a small issue that players are having fun with. You can even find some humorous posts where players run with the idea that the in-game SHD, the government agency agents are part of, is still trying to research flashlights. Others have joked that flashlights are banned and Division agents aren’t allowed to use or even collect them.